Yes! You read it right. You can buy Bitcoin with cash. We know it is really hard to understand Bitcoin trading and exchange platforms, especially if you are a novice user. Some sites offer credit/debit card payments, but still, it requires patience to constantly wait for the Bitcoins to be delivered. Moreover, exchange sites ask for a number of personal details which might create insecurity among users. Most of the users prefer privacy with respect to Bitcoin transactions. If you are a person who is sick of these exchange platforms or a novice user who wants to buy some Bitcoins in a simple manner, then this article is worth reading. We have provided a detailed explanation regarding the methods and sites where you can buy Bitcoins with cash (any fiat currency). 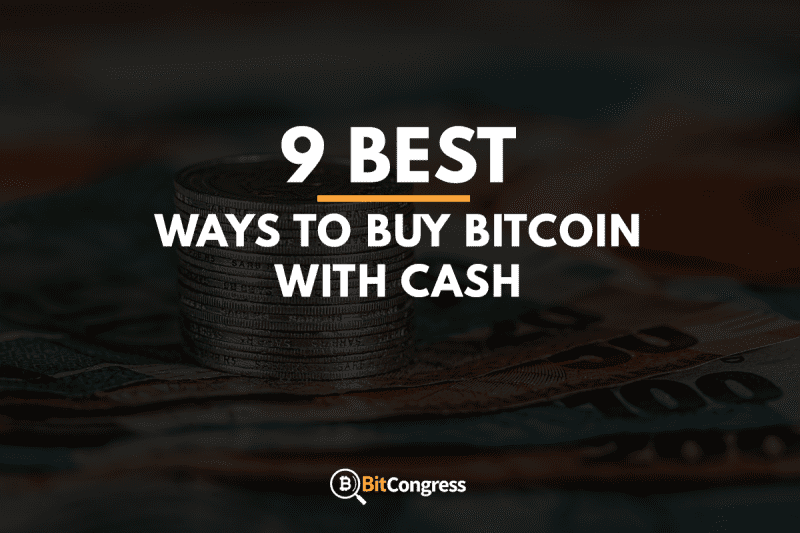 What are the advantages of buying Bitcoin with cash? Why is peer-to-peer exchange preferred the most? Unlike many Bitcoin exchange sites, the need of verifying your documents and risks involved in sharing your personal details being vulnerable is eschewed. It is hard to understand the buying process of some exchange sites using different payment methods for a first-time buyer. Buying bitcoin with cash is simple and faster than for example bank transfer. No verification is required to purchase Bitcoins and is transferred to your wallet in less than 3 hours. There are some sites (reviewed below) that allow you to trade in person but acts as an escrow service. In this method, buyers can meet specific sellers selected from the site and proceed for further transaction. Here the site acts as an escrow system, where all the Bitcoins from the seller are held by the site and released it to the buyer once the payment for the Bitcoin is confirmed by the seller. Currently, there are many ATMs that are built to offer Bitcoins by depositing cash within it. The user can obtain Bitcoins in a specific Bitcoin wallet by depositing cash in these machines. The process is simple and instant. You can contact a seller through any social media sites or any forums and decide to meet in person. Later, you can buy Bitcoins from the seller by mutual agreement. In this case, you must be careful of being scammed or robbed. Our suggestion with any in-person Bitcoin transaction is to meet up at a bank or in a public area (coffee shop, mall, or other places where there are other people). Some platforms have this option, where the buyer can deposit cash into seller’s bank account to buy Bitcoins. Some platforms have banks linked to them, where you deposit cash in the specific bank suggested by the site. This method is not recommended. One can, however, use it for small transfers. Peer-to-peer exchange or also known as the decentralized exchange, which is operated and maintained by software. Peer-to-peer exchange allows traders to mutually trade without any interference of third-parties. Well, there are some sites that act as an escrow service between traders and make a profit by providing additional security for the traders (which is highly recommended). However, the interaction between both the parties (buyer and seller) is carried out via a platform and no other party is involved in the deal. This method has many benefits. Peer-to-peer exchange systems offer low exchange rates, easy to use, private and secured and strictly resists transaction censorship. This system maintains the privacy of the user without asking for any personal details. Cash transfers once made is not at all reversible, which avoids seller from being cheated. The security system offered by sites involving peer-to-peer exchange is excellent. Additionally, some P2P exchanges offer low exchange rates and support different payment methods as well for user’s convenience. LocalBitcoins is a unique platform that offers peer-to-peer service, where traders meet and trade along with online transactions. This popular site was launched in the year 2012. 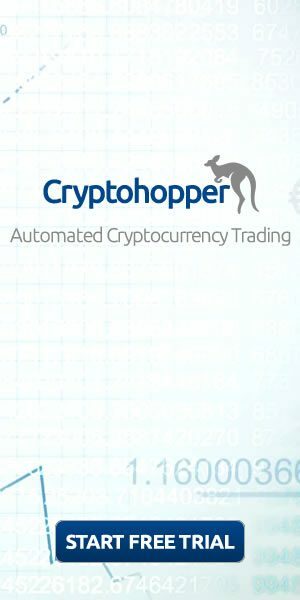 This Finland based site is not a Bitcoin exchange conventionally, but it is a platform where traders introduce themselves and carry out trading in person (or via cash deposits, PayPal, and even gift cards) by adhering to trading rules. LocalBitcoins acts as an escrow for the traders. When you create an account on this site and enter as a buyer, you can see a list of sellers who are ready to sell the Bitcoins with different exchange rates and offers displayed as an advertisement. You can connect with a seller of your choice by dropping a message and get your Bitcoins in your LocalBitcoins wallet after the completion of the trade. LocalBitcoins does not require any ID verification or your personal details. You just have to sign in using your email address. Some sellers with whom you trade might ask for your ID and some personal details. LocalBitcoins operate globally, but it depends on the liquidity of traders in your country. You can trade with your fiat currency with the trader who is ready to accept it. LocalBitcoins goes to a greater length to maintain a compact security setup. The site has two-factor authentication along with HTTPS encryption and Login Guard. Security researchers will love this site, as it also has great white hat program which is not found on other platforms. Along with these security measures, users will be sent SMS and email alerts. When it comes to choosing a seller, trading history along with feedbacks on traders are displayed which helps buyers to make a wise choice. Buyers are free from paying any fee for the site. However, the exchange rates depend on the price fixed by the seller to sell the Bitcoins. Some sellers charge bit high to cover up the transaction fee of 1% levied on them by the site. There is no limit on the amount of transaction made, as this platform works on peer-to-peer communication. The customer support offered by this site is pretty good. There are various options to report phishing, lost two-factor authentication or password. The FAQ page solves most of the queries, but you can contact them personally via email, where you will receive an answer within 24-48 hours, but usually way less than that. LocalBitcoins is a private site without involving any personal details of its user. You can buy Bitcoins with your local fiat currencies. It is fast and reliable. Some sellers might charge high exchange rates. As it is a P2P communication, one must be cautious enough before trading. BitQuick was launched in the year 2013, serves around 49 countries in the US. BitQuick is an easy Bitcoin exchange platform that offers cash and SEPA transfer to buy Bitcoins. BitQuick acts as an escrow. It is a simple process to buy Bitcoins through BitQuick. The buyer has to deposit the cash into the seller’s account through a bank and has to send a pic of the receipt as a proof. The seller releases the Bitcoins from the escrow service once the payment is received. Unlike other sites, BitQuick is not private. An ID verification is required to buy Bitcoins from this site. The site is considered safe stated by many users. Additionally, BitQuick uses BitGo’s multi-signature wallet infrastructure, which ensures Bitcoin deposits up to $250,000. The number of Bitcoins held in the escrow will be displayed by the proof-of-reserve auditing system, which discloses the dealings taking place on the exchange itself. Unlike other sites, a fee of 2% is levied on the buyer rather than seller by this exchange. Moreover, exchange rates are set by the seller and hence some banks might charge additionally. No fee is applied during withdrawal by BitQuick. As this exchange acts as an escrow and introduces traders, it does not apply any limit on the transaction. However, it is up to the traders to add a limit on the transactions. 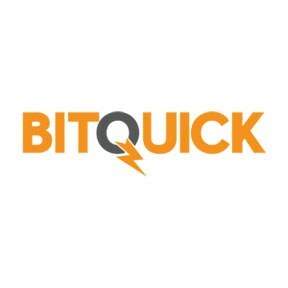 BitQuick takes a maximum time of 3 hours to deliver the bitcoins to the buyer’s wallet. BitQuick offers a good support system. You can contact them anytime with your queries through email or their online forms. BitQuick is a fast, simple and highly reliable platform. It is a trusted site among users. The Bitcoins are held in the escrow, which avoids the risk of being scammed. The fee levied to the buyer is slightly high, adding to high exchange rates charged by some of the sellers. The service is available on in the US and accepts only few fiat currencies (US dollars, Canadian dollars, Euros). Wall of coins is a newly established Bitcoin exchange based in Florida. It simplifies the process of buying and selling Bitcoins by standing out as a peer-to-peer exchange that accepts only cash as a payment method. The countries that support Wall of coins involve United States, United Kingdom, Argentina, Australia, Brazil, Canada, Germany, Latvia, Mexico, Poland, Philippines, and Romania. Wall of coins does not ask for any verification. In fact, it is not even necessary to create an account as a buyer. As a buyer, you have to provide your phone number and enter the amount that you are ready to spend on Bitcoins and deposit the amount in a nearby bank or in any of the bank listed by the Wall of coins. The process is simple for deposition of funds. After the deposition of funds into seller’s account, you will have to text wall of coins. The seller then verifies the transaction and releases the Bitcoins to the Bitcoin address provided by you. As a seller, you have to link your bank account to the Wall of coins and your phone number will be your name. The site provides a Bitcoin address to the seller to add Bitcoins to sell. Wall of coins offers cold storage to secure all the Bitcoins. There is an inbuilt AI (Artificial Intelligence) system that prevents any fraudulent transactions from taking place. Once the Bitcoins are sent to site, you can never withdraw it automatically. If you want to withdraw your Bitcoins, you will have to contact the customer service executive. Wall of coins generally does not disclose the fee publically. However, the fee is quite low (1-2%) and additional bank charges might apply while depositing funds. A limit of $5 is applied to purchase Bitcoins from this site. Any other limits will be set with consent of buyer and the seller. The transaction is pretty fast with Wall of coins. Bitcoins will be delivered to the buyer’s address within 15 min, if the buyer sends the proper code of verification to the site and if the seller responds and verifies immediately. 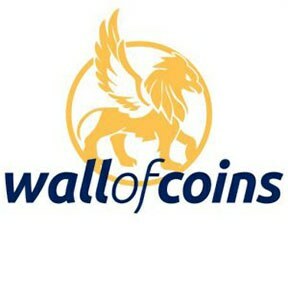 Wall of coins has an FAQ page which answers most of the queries. You can reach them via email, toll-free number or via the live chat function. Wall of coins offers an easy way to buy/sell Bitcoins. The site is trusted and highly reliable and also offers low exchange rates. The site does not require any ID for verification and preserves the privacy of users. The fee charged on the transaction is not displayed in public. Time taken to deliver Bitcoins to the buyer completely depends on the seller’s confirmation and some sellers will not be willing to sell a large number of Bitcoins. Currently, the site offers its services to only 12 countries. Can you imagine, buying Bitcoins is as easy as buying groceries from a vendor! Well, LibertyX is a site where you can buy Bitcoins from your local vendors in exchange for cash. LibertyX pioneered in launching world’s first Bitcoin ATMs, where people can actually swap cash for Bitcoins at physical kiosks. Later, LibertyX inflated by connecting and partnering with the local vendors throughout the US by establishing them as exchange points for Bitcoins. LibertyX is available as a website along with its own app. You will find an option of ‘store locator’ within the app, where you can find local vendors nearby you. LibertyX asks to verify your ID or in some cases. LibertyX has adapted SSL encryption for all its communications between its customers and also on the website. An encrypted hard disk is used to store all the customer details. Moreover, The site accepts only cash by eliminating the risk of linking your bank account and transactions related to it being vulnerable. An overall fee of 1% is applied to all the purchases. Moreover, you can be charged extra by the vendor. Creating an account and using the LibertyX app is free of cost. You can purchase $1000 worth Bitcoins from the vendor. LibertyX offers no fee on your first $1000 for signing up with your Facebook account. LibertyX also offers PIN/Gift card option. By opting for a PIN, you are limited to buy Bitcoins in fixed denominations ($5, $10, $20, $50, etc). LibertyX offers the unique feature of buying Bitcoins from a local vendor. To help users, the site is compatible with Android and iOS system as well. You can use the LibertyX app to find the local vendors near you. Users are allowed to get their Bitcoins in the wallet of their choice. Along with cash, the site also offers coupons which contain offers and can be redeemed. The fee applied by the site is quite low and you are not asked to link any bank account. As LibertyX involves local stores for buying Bitcoins, you might not find them in abundance. You are required to verify your account by providing some documents. Some local vendors might charge you extra as a transaction fee. Signing up with Facebook might degrade user’s privacy. The site offers good support via email. Bitit is a Paris based Bitcoin exchange platform, which offers 3D secure credit/debit card and cash using Neosurf, Flexepin and Cashlib prepaid vouchers as payment methods. Just like LibertyX, Bitit offers users to buy Bitcoins in local stores with cash using the vouchers (Neosurf, Flexepin, Cashlib). You can easily buy Bitcoins worth $25 after creating an account without any verification. It is necessary to verify your account by providing your ID with a selfie to purchase more number of Bitcoins. Bitit is an encrypted site. It maintains the level of security that all sites with credit card transactions do. Bitit has many store locations in France and it maintains an active social media presence, which proves that the site is legit. The exchange rates depend on the payment method that you use. You will incur a fee of 3.9% on all online transaction using credit/debit cards and a fee of 8.9% to 10% will be charged for cash purchases using Neosurf, Flexepin and Cashlib vouchers. Additionally, you might incur extra charges to buy vouchers from the stores and foreign exchange fee on credit cards. You are allowed to purchase Bitcoins up to EUR 50 for 7 days without any verification along with pre-order limits up to EUR 25 to EUR 250. However, there is no limit on placing the number of orders. It takes minutes to transfer Bitcoins into a user account. Moreover, the time required to receive Bitcoins depends on the Bitcoin network. Bitit can be contacted online on their site or on their social media page. The site also has a Knowledgebase and email support system. The site offers high liquidity and volume and also offers quick and simple methods to buy Bitcoins. You are not required to verify your account for transfers up to EUR 25. The exchange rates are quite exaggerating and the site has limits on transactions. Paxful is a Peer-to-peer Bitcoin exchange site established in the year 2015. Along with cash deposits, Paxful introduces a new option of Gift cards as a mode of purchasing Bitcoins. This exchange is similar to LocalBitcoins, where you can meet the seller and trade in person while the site acts as an escrow. You can create an account when you enter the site or you can first select a seller of your choice and then you can create your account to initiate a trade. Once you register, you will be sent a welcome email, which contains a link to verify your email address and another link for securing your account with two-factor authentication. Two-factor authentication can be done via SMS and with Google Authenticator. Security system involves two-factor authentication and feedbacks regarding the seller, which helps buyers in choosing a better one. Additionally, the site is secured by Comodo, which means the site is encrypted using 256-bit SSL technology. The site also follows PCI vulnerability standards to establish a secure environment for its users. Paxful does not impose any fee on buyers, but sellers will be charged a fee of about 1%. However, the seller is allowed to charge for converting your gift cards into cash. Similar to LocalBitcoins, your Bitcoins are held in the escrow which will be received once the payment is confirmed. The time required to deliver your Bitcoins depends on your mode of payment. No limit is applied to the transaction by the site. However, limits depend on the traders. You can contact Paxful customer representatives through email or chat option which is available on your screen at the bottom. There is even a toll-free number which is active during business hours. The site has its own Facebook page, where you can contact them with your queries. The response might take few hours with respect to email and chat options. Paxful has this new feature of gift cards, which is pretty cool. The site offers low fee and also has a feedback system to prevent buyers from being scammed. Users can easily get their hands on this site with its simple interface. Buyers careful from being scammed by the sellers. Creating an account is simple by entering your email address and password. Cancoin has its multi-signature wallet specific to each user, which is to be generated before buying or selling Bitcoins. While generating the wallet, a unique, secure mnemonic seed phrase is generated, which will be used as a master key to your account. You are not supposed to lose this seed phrase once generated. You can opt for a seller of your choice and contact the seller via secure chat option offered by this site. Once you place the order, the seller has to send the bitcoins in the secured wallet created for the purpose of the transaction by the site and the wallet will show up on the blockchain to verify the transaction. Later, you have to deposit the money into seller’s bank account or through other payment method specified by the seller. After the confirmation of payment by the seller, Bitcoins are released by the site’s escrow wallet into your personal Cancoin wallet. Cancoin stands out in terms of its security setup. Users in complete control of their private keys. Along with a multi-signature wallet, the site has an encrypted PGP enabled chat system. User details are secured using AES-256 CTR file encryption. A unique secure mnemonic seed phrase extends the security of the wallet. Email and SMS alerts are also enabled as a security measure. Cancoin maintains the transparent fee structure, which will be displayed on the blockchain. Well, buyers are free from paying any fee, but sellers will incur a fee of 1% with some fee depending on the Bitcoin network. The site has a Knowledgebase and community forums to help its users with their queries. Cancoin can also be reached through social media sites. Cancoin goes to greater lengths to ensure its user’s security with advanced security measures. The site supports multiple payment methods along with a simple user interface. Cancoin upholds transparency in its transactions. The site does not offer high liquidity. Buying Bitcoins is even more simple with these Bitcoin ATMs located in different places. You can ask the Bitcoin ATM map to show the available Bitcoin ATMs in your local area. There over 30 Bitcoin ATMs with over 20 different manufacturers in the market. Some of the most popular manufacturers of Bitcoin ATMs include Genesis machine1 (from Genesis coin), Satoshi1 or Satoshi2 machine (from Genesis coin), Lamassu, General Bytes BATMTwo (one-way), General Bytes BATMThree (two-way), BitAccess, Skyhook (not in use) and Robocoin (not in use). There is a simple process to buy Bitcoins through these Bitcoin ATMs. You have to add a Bitcoin address where you will receive the Bitcoins. Then you have to deposit the cash and confirm the process. This is a general process. Well, the process might not be the same with different manufacturers. Some ATMs might also ask for verification. 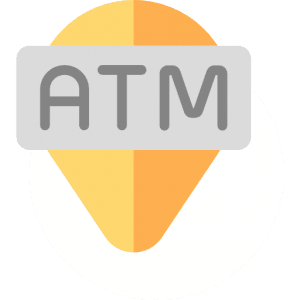 The ATM machines build by the manufacturer Genesis coin (Genesis machine1, Satoshi1 or Satoshi2 machine) asks for your mobile number verification by generating a code to be entered in the machine along with scanning your fingerprints. Lamassu is the second largest to install Bitcoin ATM machine after Genesis coin. This machine does not ask for any verification and has no camera installed in it and the process takes just 15 seconds. Next, General Bytes ATM servers both anonymous users and registered users. A fingerprint scan is required. The machine does not provide any printed receipts but has an option of providing encrypted private keys of a newly generated address in a mail. You can carry out further transactions after receiving the mail. The BitAccess machine is well represented in the US, Canada, and European countries. This machine asks you to verify your mobile number and provides a printed receipt as well. ATMs charge you a fee up to 5% to 10%, but users are ready to pay so much for its privacy. The limits on the transaction vary from ATM to ATM set by different manufacturers. An easy and instant way to purchase Bitcoins with easily locatable machines with the Bitcoin map. The fee charged is quite high. To stand out from other wallets, Mycelium has added a new feature called ‘local trader’ that offers direct trading between users. Users can publish an advertisement along with their offers to sell Bitcoins. Buyer can locate nearby sellers based on their location or can search sellers displayed on the app. You can contact the appropriate seller of your choice by dropping a message and carry out the further transaction by meeting in person and also can hand over the cash to the seller to release Bitcoins. The bitcoins are held in the wallet and are released by the seller after the confirmation of payment. You are required to verify your identity on the site before getting started. All the conversations made between buyer and seller is encrypted. The rise of Bitcoins has forced people to establish easy and reliable methods for Bitcoin transactions. It was not the same few years ago. 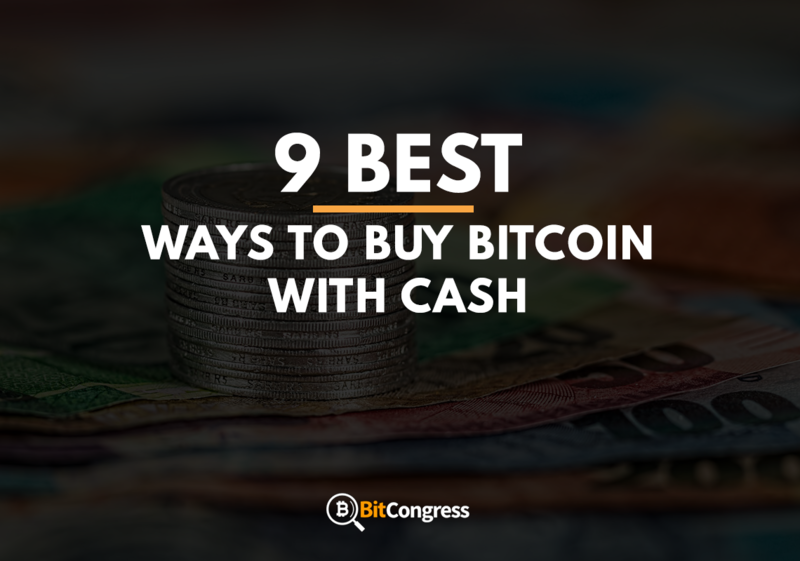 Introducing cash as an option for purchasing Bitcoins has paved a way for common people to explore this world of Bitcoins. Peer-to-peer sites offer advanced security measures with low exchange rates, which also reduces the risk of direct in-person trade compared to social media platforms. Bitcoin ATM machines provide you complete privacy with instant transfers. Before indulging in trading with a seller, we suggest you take a look at the seller’s trading history and feedbacks provided by other users. It is always good to meet sellers and buyers in a public place to avoid any risks. You might have gathered all the information regarding the easy and reliable way of buying Bitcoins after reading this article. Hence it is the time for you to get started with Bitcoins.